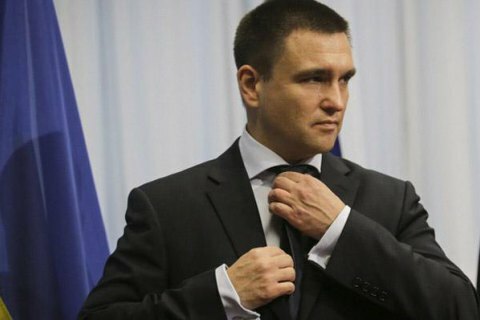 The Ukrainian Foreign Ministry is ready to cooperate with the Office of the High Commissioner for Human Rights (OHCHR) in order to fulfill the recommendations voiced in the report on the responsibility for the killings in Ukraine in January 2014-May 2016, the official comment says. "The Foreign Ministry of Ukraine highly appreciates the initiative of OHCHR and the UN Mission for Human Rights in Ukraine to prepare this first thematic report and is ready to cooperate closely to implement the recommendations made," the comment reads. "We look forward to continuing the practice of thematic reports initiated by OHCHR. We believe that one of the following ones should be a review of the human rights situation in illegally occupied Crimea and the city of Sevastopol, where systematic violations of human rights by Russian occupation forces are ongoing," UNIAN quoted the ministry as saying. Besides, the Foreign Ministry noted that the report once again shows that the majority of casualties in Ukraine were caused "by the armed conflict that is constantly fueled by the influx of foreign militants and weapons from Russia, including [the people] from among former and active military personnel." "Unfortunately, most of the civilian casualties were recorded as caused by shellings of residential areas by illegal armed groups. The Ukrainian armed forces are forbidden to fire on positions of militants, which are located in areas inhabited by civilians. We stress the exceptional importance of conducting a thorough analysis and study of the scale of a death toll as a result of the illegal occupation of the Autonomous Republic of Crimea and Russian military aggression in Donbas," the comment reads.